Will it be easy? Yes. Word it? Absolutely! Dwayne ‘The Rock’ Johnson once said in a movie: “You got nobody but yourself. 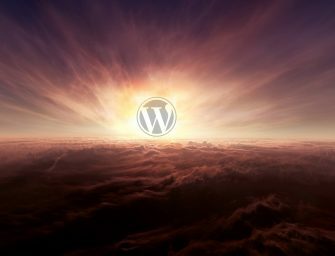 But goddemn it, that’s all you need.” It is supposed to be true on the side of trainers, instructors, but thanks to WordPress, they are not alone. They can have elegant websites to reach out their full potential. With the usage of specific WordPress themes, fitness and wellness centers, personal trainers, crossfit instructors and any kind of trainers can attract more attention of those seeking for options to efficient body & mind transformation (e.g. via yoga courses etc.). 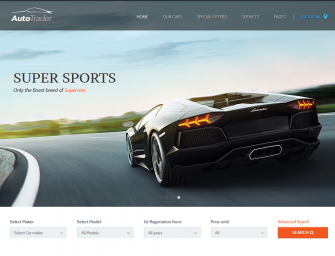 Here are the top 10 awesome WordPress themes specialised for such centers and trainers! StarGym has been developed especially for Gym, Fitness, Health centers / clubs and other related businesses. It is also suitable for crossfit or fitness instructors, personal trainers, even for dancing teachers, athletes and classes like zumba, spinning, spinracing, fitball, spine-exercise etc. Barcelona is fully in line with the latest trends, so it represents the state-of-the-art website for gym and fitness purposes with all the key functions (fully responsive, 3 Homepage Variations, Cross Browser optimization, Cute and Modern Style, Fully Customizable, Advanced Blog, Pixel Perfec). Barcelona WordPress theme is going to be the virtual La Rambla of your clients and visitors where all the courses, portfolio, classes, training programmes, schedules, the set of professional personal trainers offered can be stylishly displayed to garner the attention of the masses interested. Studies have pointed out that today’s people has more self-awareness than ever before in terms of pursuing a healthy life style. It is hardly by chance that body shops, fitness centers, spas and other life style ‘temples‘ are in great demand. To this end, establishing a powerful website to such services increases the appeal of the business significantly. Waxa has been fabricated to fulfil such aim: attracting, preserving and inspiring those pursuing healthy life style. 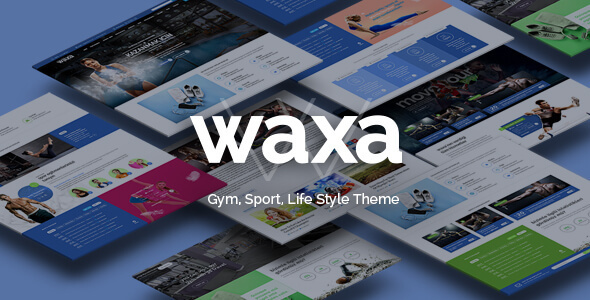 The fully responsive Waxa is equipped with a long series of nice plugins and functions, ranging from slider revolution, visual composer, social media interfaces, high customization, homepage and inner pages variations, widgets, pricing tables etc. A smart ideal weight calculator can also be integrated and used. Online membership function is also developed to give a secured and personalised dimension to your clients. What is more, Waxa is also a WooCommerce compatible WordPress theme. Fitness centers and life style clubs like to have a comprehensive introductory platform for newcomers and old boys to be updated about important news. 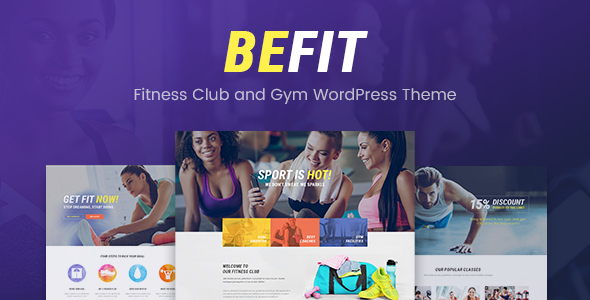 Be Fit WordPress theme is for fitness centers, pilates and yoga studios, gym, martial arts clubs, dance studios, but it can also be useful for shooting or archery clubs etc. 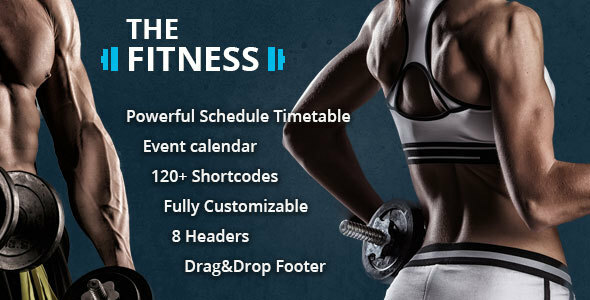 Beyond the main functions (showing your portfolios of activities and trainers), there are other key elements that make Be Fit a good choice: timetable is integrated, event calendar, WooCommerce compatibility, fully responsive and customizable design. Due to WooCommerce readiness, all kind of online shops related to such life style activites can be opened and managed. An additional special plugin is for body mass index calculation. If you are to build a website for a personal trainer / instructor (e.g. crossfit, yoga, fitness, body builder etc. 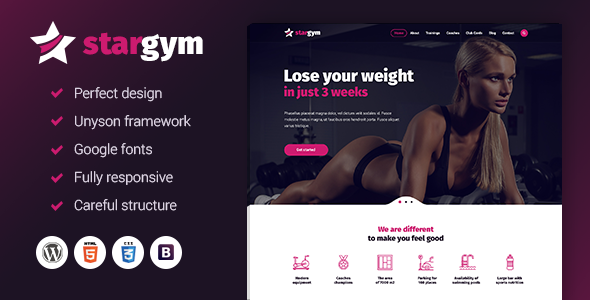 ), you can be sure that by using The Fitness WordPress theme, you might offer a chance for that trainer to attract attention from fitness centers and to get her/him inside its walls. In short, this theme creates a win-win situation. This clean and professional theme is a fully customizable one with a powerful schedule timetable by instructor or class, 9 header designs, easy-to-use drag&drop page builder. 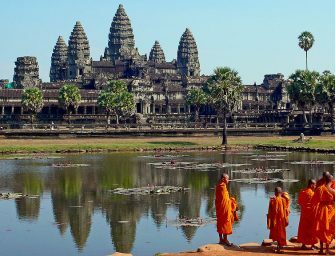 One of its merits is the translation readiness, thus skilled personal trainers with broader linguistic knowledge can create a greater multicultural clientele. This fully reponsive theme is best suited for gym & fitness centers and/or any kind of personal trainers (crossfit, yoga etc.). The theme is also able to run an online shop. Supported extensions: RTL Languages Ready, JetPack, contact form 7, visual composer. 4 inbuilt homepage versions as well as 5 Class Pages are at your disposal, together with unlimited color combinations when it comes to customization. A personal trainer can spur its attractiveness through demonstrating the results of its working programme and experience. A video blog or a website for workout videos are the perfect steps towards that direction. Love Fit, a fully responsive and well designed WP theme, makes this possible. It provides full-length fitness workout videos and quality health information. Trainer can show clients and future clients the most effective exercises and practices in different levels: crossfit, yoga, cardio exercises, various strength programes, etc. Visual composer, Layer Slider included, it offers 4 home pages, ajax working forms, order process with responsive tables, calories calculator etc. 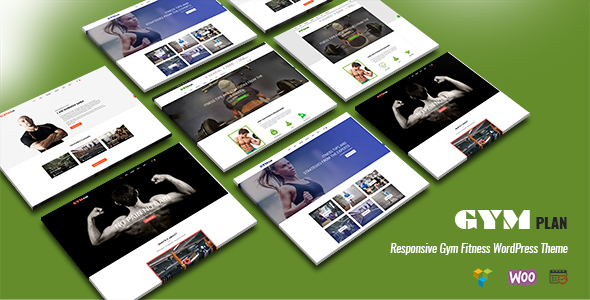 This is a multipurpose WordPress theme for the benefit of fitness centers as well as personal trainers. 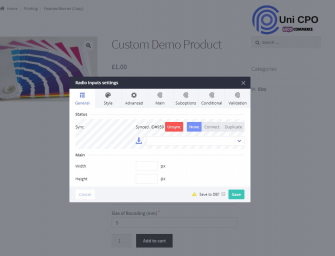 The basic package includes among other things the well-known visual composer, revolution slider, multilingual wpml plugin, WooCommerce readiness, mailchimp integrated, flexible 1200 grid system etc. 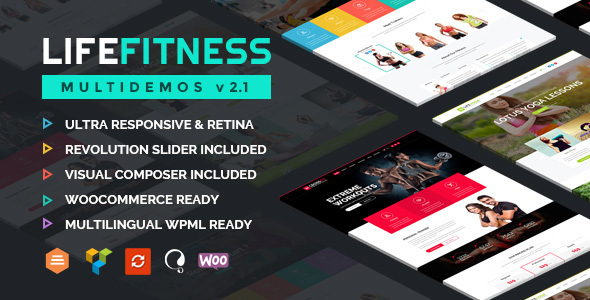 This fully responsive and retina ready theme has three powerful demos: 1) general main demo, 2) crossfit, workout demo, and 3) a yoga demo. 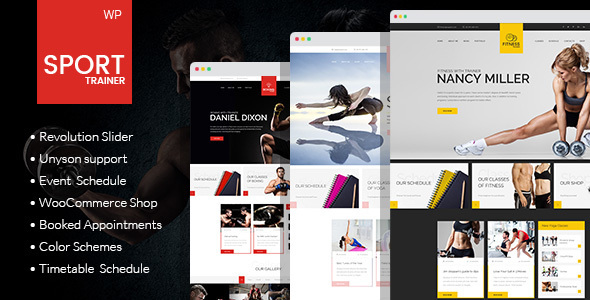 CrossPower is a modern WordPress theme designed specifically for sport websites, gyms, yoga or dancing studios, fitness and crossfit clubs. Several blog and gallery options are at your disposal to share your experience, advices on healthy transformation. There is also the possibility to build a shop page (WooCommerce compatibility). The schedule page makes sure that your clients are up to date with your club’s timetable and are always in time for the class. Of course, Visual Builder Plugins, slider revolution, Twitter Bootstrap v3, parallax and video bg, translate compatibility etc. are all the necessary features in CrossPower. If you are a trainer and want to show your enthusiams and commitment to help your clients achieving their goals, Sport Trainer theme can in great help in your journey. The fully responsive and professionally designed theme lets your clients to explore your experience to be as motivated as you were. The blog and gallery pages are for sharing successful stories, the schedule function keeps them always updated, and other trainers can also be exposed on the team page. The theme is powered by Twitter Bootstrap v3, and ready for a WooCommerce shop too. Unyson support, book appointment, revolution slider, visual composer, instagram feed, RTL support, team plugin etc. are those features that make your work even better and smooth.